Mezlan shoes are the answer for all your fashion needs. Getting fashion and comfort at the right proportion is so important while buying shoes. Finding a perfect pair of shoes that also matches you and your outfit is something that troubles men form a long time. Mezlan shoes are imported directly from Spain and have its trademark quality accompany its beauty. 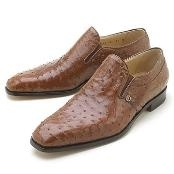 The rich alligator hide shoes are known to give fascinating looks that men always want. A perfect suit is incomplete without a quality alligator shoes to suit is rich style. If you need rich colors of leather made shoes with rich intricate patterns, you have come to the right place. World class craftsmanship coupled along with exotic leather varieties is near you with Mezlan shoes. David Eden is a magical word of all fashion lovers who has special place in their heart for leather shoe varieties. Everyone loves to wear a pair of perfect leather shoe in match to their favorite suit. When men what their special looking suit to be perfect, they will pick David Eden leather shoes to do the task. The collection of David Eden stuffs at MensUSA is catalogued for the ease of it customers to choose them according to their taste and needs. When fashion is what men want David Eden is what we give! David Eden Shoes from the famous fashion designer is one of the products that speak about its rich value and exotic varieties. Fashion shoe varieties that are made out of leather are what David Eden Shoes are about. What makes these shoes special when you have thousands of brands out in the market? The best thing about these David Eden Shoes is their fashion revolution that reaches different heights often and the way the products revolve with the fashion industry.